Spring is here in the Northern Hemisphere. I am very happy to see the snow melting and the temperature rising. I live in Canada, in one of the most northern cities, so spring unfolds a little slower here compared to most other places. There are still patches of snow on the ground and the temperatures are still dipping below the freezing point at night, but the signs of warmer weather are certainly here. Nothing in this world is perfect and although we welcome the onset of spring, it is a key time of year for seasonal allergies. Snow mold, pollen, fresh grass, flowers and weeds can cause undesirable reactions for some of us. Since I love the benefits of aromatherapy, essential oils and allergies will be the focus of this article. Did you know that essential oils can be a great solution when it comes to dealing with the symptoms caused by seasonal allergies? It is believed that the biggest spring allergy trigger is pollen. Many plants such as trees, grass and weeds release very small grains of pollen into the air for the purpose of fertilization. If these small particles get into the nose of someone who is allergic, the body responds by releasing histamines and other chemicals into the blood stream and an allergic reaction begins. Snow mold is another allergen that may be an irritant for allergy sufferers. Snow mold is a fungus that grows under snow, on grass or dead organic matter. It occurs when there is heavy snow cover on the ground that is not completely frozen for an extended period of time. Unfortunately, spring is not the only season that some individuals suffer with allergic reactions. Common triggers of seasonal allergies vary from one season to another. Generally speaking, tree pollen is responsible for most springtime allergies, grasses and weeds are common triggers in the summer, ragweed pollen is a major trigger in the fall, and winter triggers include mold, pet dander and dust mites. Remove dust and allergens in your home. Pay attention to the time of year that you are most likely to start reacting to seasonal allergens; start diffusing/using essential oils or taking your medications. Don’t wait for your symptoms to get severe. Try to stay inside when the pollen count is high. Install an air filter on your bedroom window or just keep your window closed when you sleep to keep allergens out. Purchasing a quality air purifier may help keep your symptoms at bay. Keep your windows and doors shut during when the pollen count is high. Clean air filters in your home on a regular basis. Dust your bookshelves, vents and other locations where dust and pollen can settle. Vacuum on a regular basis. You may want to consider wearing an allergen mask as vacuuming can kick up the pollen, mold and dust that is trapped in your carpet. If you have to do yard work, consider wearing an allergen mask to avoid inhaling the small particles that are in the air. In addition to the suggestions above, essential oils may offer some relief for your seasonal allergy symptoms. Many essential oils contain properties that may be helpful when it comes to easing your allergy symptoms. Here is a list of some oils that are commonly used. Lavender – This oil has anti-histamine properties and has been used for centuries to help reduce watering eyes, sneezing and other symptoms of seasonal allergies. Eucalyptus – Great for opening up airways. Considered to be a natural expectorant. Can relieve sinus congestion. Rosemary – Thought to control sneezing and coughing due to its antispasmodic properties. Some people do not care for the scent, so it is often blended with other oils such as Peppermint and Orange. Peppermint – Similar to Eucalyptus, Peppermint can clear sinus congestion. It is also quite uplifting and energetic. Great for headaches. Bergamot – Known to be beneficial for easing allergy symptoms, including cough and reducing phlegm. Lemon – Lemon essential oil is known to clear sinuses, reduce congestion, and boost energy levels. Basil – Research has shown that Basil can ease the severity of the immune response when the body is exposed to allergens. Tea Tree – Tea Tree oil can destroy airborne pathogens that cause allergies. This is a great oil to use in your diffuser. It can kill mold, bacteria and fungi. So, when your seasonal allergies start to cause you discomfort, why not try using essential oils to ease your symptoms? I love creating blends and applying them topically using a roller bottle. It’s easy and very convenient. Take the bottles with you wherever you go. They are small enough to toss in your purse or pocket. Here are a few suggested recipes you may like to try. Combine all oils in a 10 ml roller bottle. Fill to top with a carrier oil. All these blends are great to use in a roller bottle or a diffuser. If using a diffuser do not add the carrier oil and follow your diffusers recommendations regarding suggested number of drops per use (diffusers come in different sizes). There are many carrier oils available. My favourite one is Jojoba oil as it is less likely to leave stains on my linens and clothes. We are all different, our bodies respond in various ways to substances and circumstances. You may need to experiment to find oils or a combination of oils that work for your body. To learn more about blending oils, check out an article that I have written entitled Essential Oil Notes – What Does This Mean? You may find the information quite useful. Diffuser Jewelry – There are many styles of necklaces, rings and bracelets on the market that work as your own personal diffuser. Many of these pieces are made with lava stones. Just add a few drops of your desired oils to the stone and inhale throughout the day as needed. Other pieces of jewelry may have a small pad inside that holds a few drops of oil and is used in the same manner. Inhale Directly from the Bottle – Some people prefer to inhale directly from the bottle. Add a Few Drops to a Handkerchief – Add a few drops to a handkerchief or cotton ball and inhale as needed. It is my hope that you don’t suffer from seasonal allergies. If you do however, I hope some suggestions in this article have been helpful. In addition to the suggestions above, it’s a good idea to eat well and get plenty of rest to keep your body’s immune system in top condition. This will help your body defend itself against the allergens that bother you. I hope everyone in the Northern Hemisphere is enjoying the spring weather. After such a long winter it is quite nice to shed those snow boots and don our less cumbersome clothes. It’s great to feel the sunshine on our bare skin for a change. Get out there and enjoy this beautiful time of year. My wife and I tried Aromatherapy when we went to Cebu, Philippines a long time ago. It was used in combination with a full body massage. Now I know why they talk about giving anti-histamines, hehehe, I’m such a knucklehead. Nice, a massage with essential oils! I had my first professional massage a few months ago and they also used essential oils. It was fantastic. Essential oils have a ton of benefits, I use them almost everyday to boost my immune system and for other ailments such as cold and flu symptom relief. They have a great deal of benefits for both mental and physical conditions. Great stuff! If you ever have any questions about essential oil please stop by again. I would be more than happy to help you out. Thanks for your comment. Have a beautiful day! thank you for this wonderful resource. I love essential oils and I’m always on a lookout for quality oils as well as new info + some good recipes. I actually never thought of using essential oils for hay fever and allergies, I’m going to test your suggestions on my brother who needs some help in this area. Essential oils are great. They offer a great many benefits for all kinds of conditions. I hope this information will help your brother. Its a good idea to test a few different oils, if one or a combination of oils don’t seem to do the trick then try another combination, it is my hope you find something that works for him. Take good care and stop by again. I would love to hear how it goes. This information is very nicely presented. Many of the allergy remedies are compelling. The layout and appearance of your site is very pleasant. This is very helpful and well written content. Thanks for your very kind comments about the website. I appreciate it. If you ever have any questions about essential oils, I would be very happy to help you out. Have a great day. I never heard of snow mold. Interesting. My husband suffers from allergies which are easily explained in the spring but mind-boggling sometimes in the winter. I’ll have to pay closer attention next winter. I have heard about diffusing oils instead of using candles because they are less likely to trigger allergic reactions but I didn’t know that they can actually help. That’s great to know! I used to use scented candles and diffusers that were heated with a little flame for my oils. I was very happy when I started using a diffuser for my oils. My house smelled very fresh and clean, diffusing oils in a diffuser actually cleans the air and they are not a fire hazard as they usually have automatic shut off features that turn off the machine when the water tank is empty. Best of luck to you and your husband, I hope his allergies are not too bad. Give the diffusers a try…you both might really enjoy them! Hi Angela, ’tis the season around my house for allergies! The snow in our front yard is almost gone and has left the usual trail of snow mold. Great tip about onions… I love them too and use them all the time! Thanks for sharing all the useful information on causes, symptoms, preventative measures and essential oil for Spring seasonal allergies. I am presently using a mix of peppermint, eucalyptus, and lemon. It is wonderful for providing me some seasonal allergy relief and keeping me mostly symptom free as I survive the Spring allergy season. Ism’t is great that the snow is almost all gone? The snow in my yard is just about all melted also. I love the warmer weather! As you know, those of us who suffer with allergies have to take precautions if we don’t want our allergies to flare up. That is great that you use your diffuser through out the day. I do also. Right now I have Eucalyptus and Peppermint diffusing. Re: snow mold, I learned that if we spread out any snow banks in the yard, they will melt faster and the chance of mold growing will be less. I have snow mold in my yard too. I hope you have a wonderful evening and a fantastic week ahead. Spring. Yes my allergies are in my eyes. I have chronic dry eyes syndrome due to whatever is in the air. Your post was very informative. I am going to check some of the oils out. 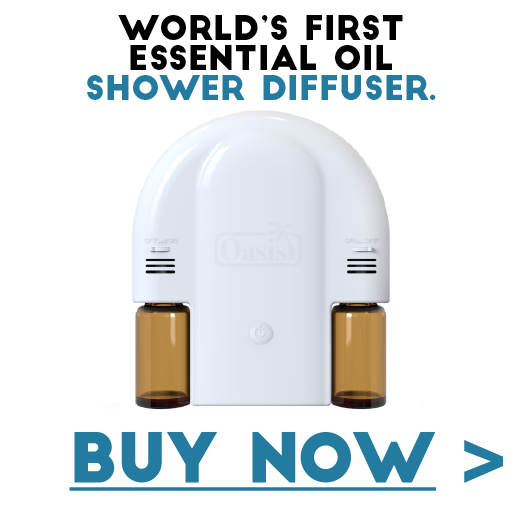 Have you ever tried using an essential oil diffuser in your house? The mist will hydrate the air and any essential oils you use will have added benefit to relief your allergies. Best of luck to you and thanks for stopping in. Hi Angela, thank you for sharing such great information on Essential Oils for Allergies. Fortunately, I don’t suffer from allergies however my sister has a very bad time with allergies and I am sure the information you have provided will be very helpful to her. I have sent the link to this article to her. Great site… keep up the good work! I am happy to hear that you don’t have issues with seasonal allergies. You are very lucky. Some people suffer a great deal. I hope the information here will give some relief to your sister. If you (or your sister) have any questions, I would be more than happy to help you guys. Have an awesome day and thanks for stopping in. Thanks for stopping by. I hope some of the information will be helpful. I certainly appreciate that you stopped in.